Brighton Argus thank you helping us reach local people opps. 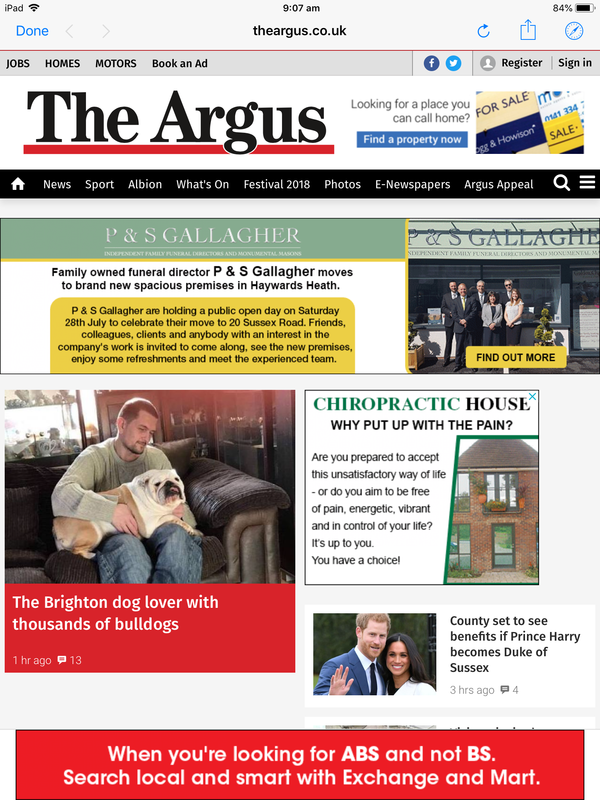 Hi readers and whomevers desk this will hopefully end on I’m offering The Brighton Argus an open invite to come and see the collection not statements not phone calls but a real life journalist from the Brighton Argus and if it was agreed they would be writing up on the worlds only bulldog memorabilia museum online. Since being in the argus before (that didn’t end well, I’d like them to come down to the apartment and see the collection as a whole, if the wow factor is there I’m sure a feel good story will follow unlike before where certain criteria had to written down putting me in not such a good light. The Brighton Argus has covered me before but the first was as part of a project and the second was written in way where I was very much mis understood, I do not see voluntary work as being lazy and I’m a collections assistant at Brighton Museum, I also am the only one in the world doing this mentally I’ll unemployed it doesn’t matter I’ve left the country a much better legacy. Ok due to the past I can feel a little anxiety popping back so for the record The Brighton Argus an open invite will be sent either by myself or Brighton museum and see if the editor will allow a journalist to venture out and not just get snippets that stir up hatred and bitterness. 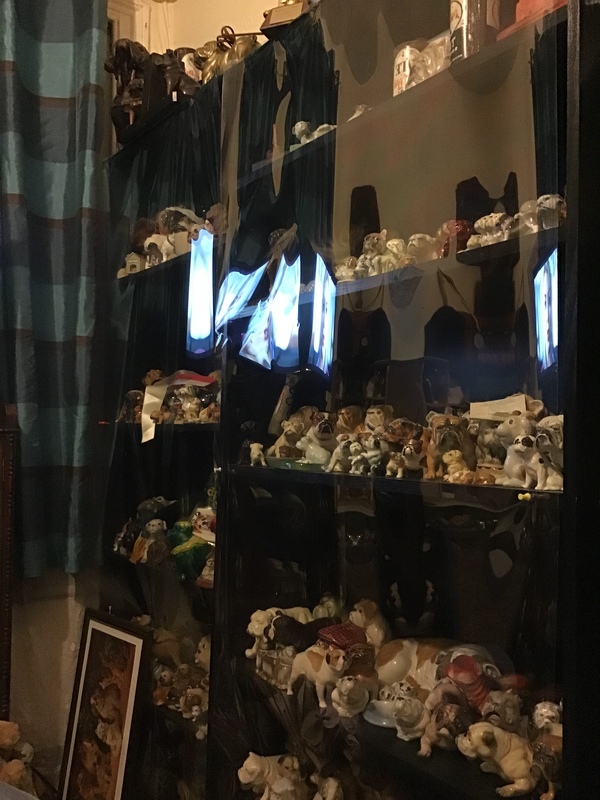 Hi sir / ma’am I’m eiffion ashdown the uks largest bulldog memorabilia collection owner you have published me before but not on the merit it now deserves, with various awards and permanent endorsement from pro boxer spike o Sullivan I think it’s high time I got everything out and the Brighton Argus come and create a feature. I wouldnt be worried about negitivity if this were to happen someone responding saying they see me every day leaving my six bed house to go to work, the Brighton Argus (as it’s stirring critic) did say I was unemployed so this meant people were just trolling for the fun of it. If you agree ill Igive you you a room that’s wall to wall cabinets and unlike other collectors that collect everything you can come and see the pieces worth thousands, Collectibulldogs wants to keep trying to soften the locals if 200 thousand people on Twitter like what we do surely that’s local news, I think a pre thought article where the journalist works with no spin involved could make a fantastic article even if it’s to cover a rainy news day. With Tea and a smile we invite the Brighton Argus to come for real see the collection in its entirety see what I and many others see and write a true version of the Collectibulldogs story, so much in the past two were either mis quoted or pushed out of context so I’m hoping it’s a yes. Other celebrities from twitter are interested in putting their name onto our site and I feel 2019;may have some good things in store, we’ve just collaborated with Sussex university and the person endorsing us held the international WBO boxing belt we found a true champ. BRIGHTON ARGUS ILL AWAIT YOUR REPLY !